I have been struggling terribly with indecision. I have been feeling the need for change for a while now. I have never seen myself as a city girl, but here i am, living an inner city, single girl life: little responsibility, a fair income to spend on whatever catches my eye and spoilt for choice. Thing is I’m bored and desperately lonely. I have only few friends and those I do have are living a different life: kids, houses, school drop off and pick up. I love them, they are my heart. But they’re not people that I can easily convince for a night out on the town or to come to the latest art gallery opening. I feel a lack of connection. And a need for change. I have the opportunity to move out of the city. My employment is flexible, which means I can move and still have a good job which I enjoy. The sunshine coast is one of the options. There is part of my heart which is longing to be closer to nature. To live by the ocean, or in the Bush. To have Chooks and trees and dogs. And to yes, find love. But another part worries about being bored in a small place, of moving only to discover ive taken my loneliness with me, to a place that now has less opportunity for socialising. That part worries that im just running away from my loneliness and that for once in my life I should stay somewhere and make connections. I know yoga tells us that all the answers are inside us and that ultimately we know what we want, we just need to quiten enough to listen. But what happens when there’s so many ‘voices’ in your head, all telling you different things. All of which are reasonable in their own right. How do you know which one is your heart? Firstly, before we get into the juicy stuff I need to let you know that the Sunshine Coast is not a particularly small place! You are not considering a move to woop whoop (middle of nowhere for my non-Aussie readers) and you’ll probably find you have BETTER connections, social life and sense of community whilst also having the blessed experience of living near the ocean and being a hop skip and jump away from the mountains (and the city, lets be honest). Try moving from a city of 2 million to a town of 25k on the southern coast of Cornwall (sunshine coast has 250k FYI). That, my friend, is a leap of faith! You’re just taking a small step on a much bigger journey I feel. But…enough of the population stats, let’s chat about the confusion in your head or as Patanjali calls it, the Citta Vrtta of the mind. The endless, torturous chatter. And as you rightly say, yoga does helps us the cease the chatter so that we can go within and be our own Guru’s and guides but sometimes, when we have to make a big decision that seem just impossible. I call this move to Cornwall a leap of faith because it had to be in the end. I debated it endlessly. Sometimes it felt 100% the right thing to do and other times, not so much. I made lists, I meditated on it and still no epiphany. I just had to tell myself, and you should know this too, that nothing is irreversible and if we landed here and hated it, we could always come home sooner than planned. Of course, we have landed here and generally I love it (I do miss my Brisbane friends, the sunshine and the studio immensely) but what I have found here is a wonderful, warm and welcoming community and people who reach out to create friendships even though I’m a total stranger to them. Reading your email, I think you are going to have to take a similar leap of faith my lovely lady, but I have to be honest with you and say that I also think you do know what to do, because reading between the lines of the text, you are telling me you NEED to make this move, you NEED to see if things will be different, better and whether you will be happier. You say twice in this brief letter that you NEED a change. I think your heart was typing this letter and then your brain got involved with all the ‘what ifs’. As I’ve been planning my classes for the week ahead, I’ve been reading the stories of the Devi’s of India. The Goddesses. 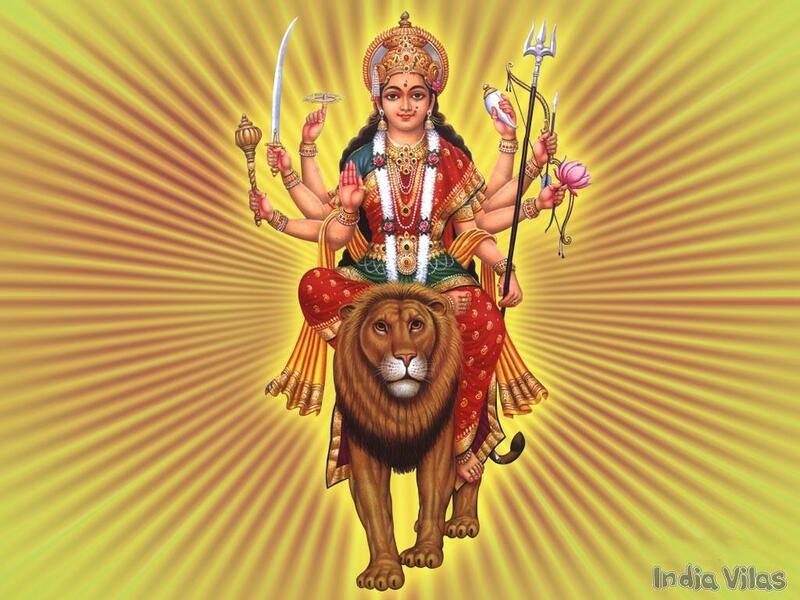 Tomorrow I am going to teach a class around the story of the warrior goddess, Durga. She has a fearless heart, she goes into battle when others are too terrified, she stands strong when everyone else falls away, she resists bribes and empty promises because she knows her own heart and refuses to be swayed from her dharma (path). She is one of my favourite Goddesses. 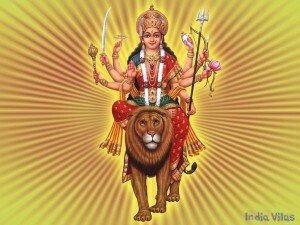 So often in these stories, the Goddesses compromise themselves and have rather sad tales but not Durga, she kicks arse. I have a picture in my bathroom that I have carried around the world for the past ten years and on it is a girl with the words FEARLESS underneath. When I start to quiver about a big decision, I like to look at this picture and remind myself that I too, like Durga, have a fearless heart. And so do you, Hard of Hearing, I think your fearless heart has been whispering to you for a while now and the Citta Vrtta is not allowing you to hear her. Make the move. Live by the ocean. Walk on the sand each morning and watch the sunrise. Make a new community of like minded friends, the yoga world is so welcoming up there I know you’ll find your posse, get yourself on internet dating and even if you don’t meet the love of your life, have cocktails at sunset and go on hikes to waterfalls (as long as you vet them first of course!). What I’m saying is, be fearless, go for it, do it, you really have nothing to lose. This is not irreversible. But I can’t see you heading backwards once you’ve made the step, I hear your dharma calling you up the coast and out to sea. Posted in: Hindu Myths, Yoga, Yoga Philosophy. Tagged: Durga, Goddess, yoga agony aunt. 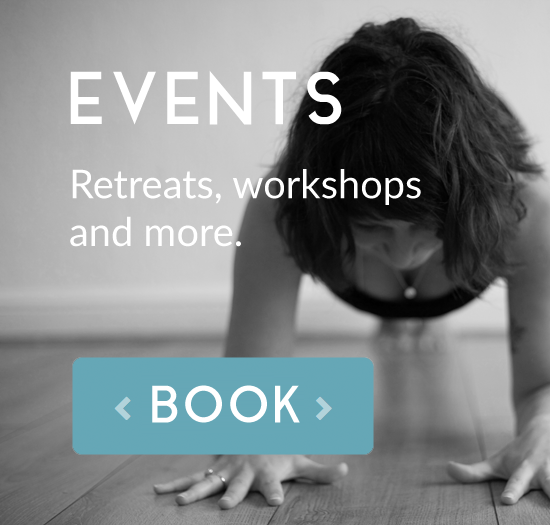 All the latest yoga news and events, straight to your inbox.